You may have never heard of Fluid Sound—they are a San Diego-based audiovisual company that designs and installs high-end audiovisual systems in companies and establishments throughout San Diego County—but you’ve probably seen their work around town. San Diego companies go to Fluid Sound when they need an audiovisual system that will “wow” their customers. Here are a few of the projects they’ve completed in San Diego County. If you’ve been to The Lot, in either their La Jolla or Liberty Station location, you’ve seen some of what Fluid Sound can do for entertainment establishments. What patrons of both Lot locations will see when they go there to dine or catch a movie is the impressive video walls and digital signage designed and installed by Fluid Sound. They’ll also hear music being played from the venue’s audio system that could rival the audio system of any San Diego nightclub. What you don’t see when you go to The Lot is everything Fluid Sound did behind the scenes. They completed a full system integration, so the venue’s lighting, HVAC systems, and security system can all be controlled wirelessly from an Apple iPad. If you haven’t been to Barona Casino & Resort in a while (or ever), you should go! Earlier this year, the casino completed an expansion to their casino floor that increased its square footage by more than 30,000 square feet. As the audiovisual company for the casino expansion, Fluid Sound installed more than 60 monitors and displays to be used for video and digital signage. They installed a new audio system and connected it to the existing system in the legacy casino floor. Perhaps the most impressive part of the project is a custom video dome at the entrance to the new parking garage, which makes an impressive visual impact on casino guests as they enter. Phil’s BBQ makes some of the best “Q” around! They are also committed to providing their guests with a quality experience as they dine. 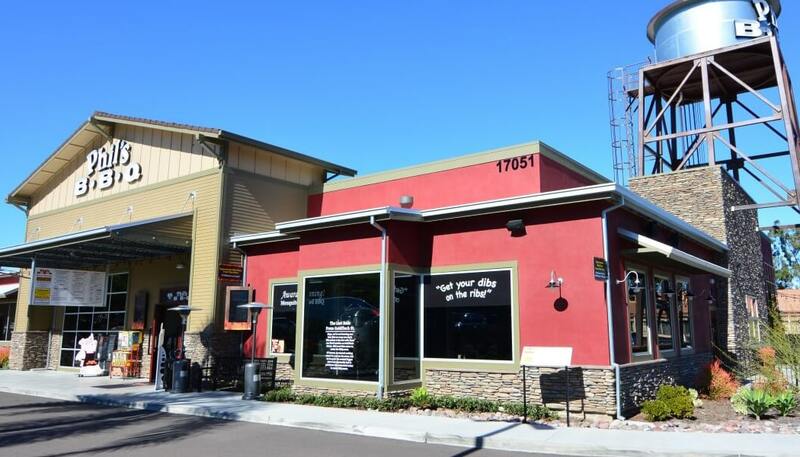 Phil’s BBQ partnered with Fluid Sound to update their Point Loma, Santee, San Marcos, and Rancho Bernardo locations with the latest in audiovisual technology. Fluid Sound designed and installed digital menu boards, as well as other displays used for digital signage and broadcast video throughout the restaurants. The restaurants’ audio systems use high-end speakers and distribution systems that allow for multiple zone functionality. Fluid Sound doesn’t just work with entertainment establishments like the ones listed above. They have also completed many projects for San Diego corporations and organizations needing system integration and control, as well as things like high-tech conference rooms, huddle rooms, or training rooms.